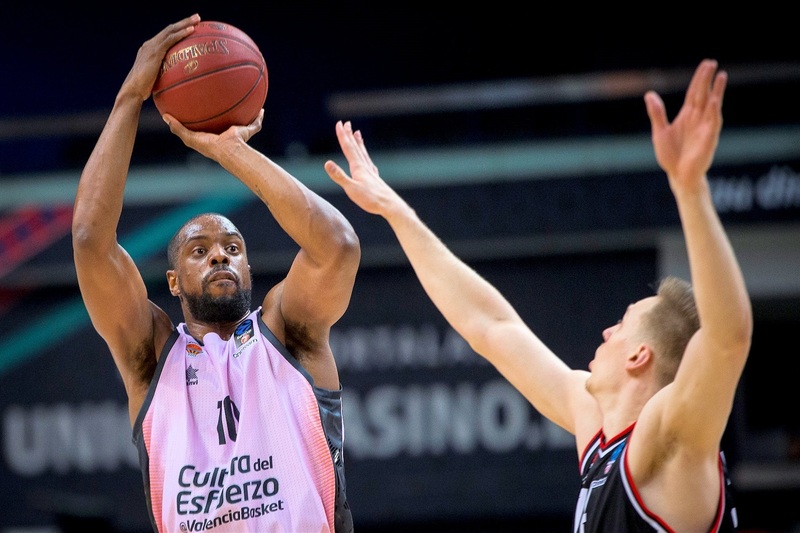 Valencia downs Rytas to reach semis! 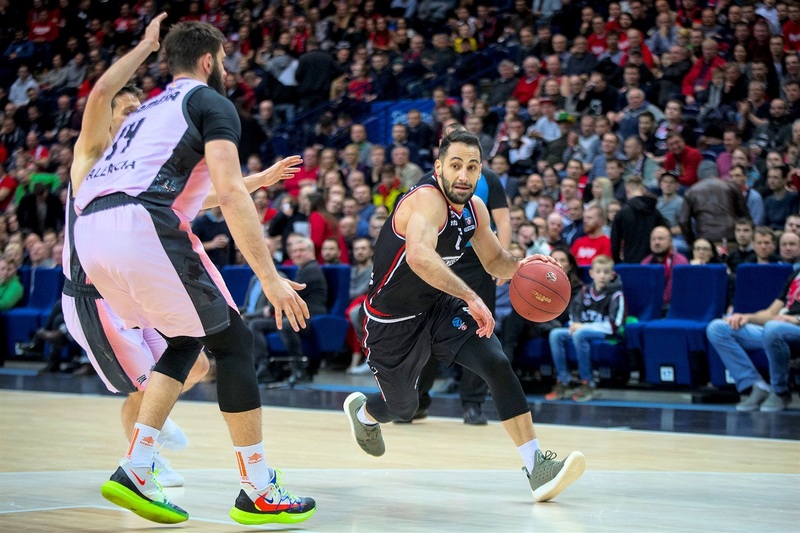 Valencia Basket became the first team in 7DAYS EuroCup Semifinals by downing Rytas Vilnius 56-71 at Siemens Arena in the Lithuanian capital in Game 2 of their best-of-three series on Friday. Valencia swept the series 2-0 and will have an extra week to get ready for the next round. Mike Tobey led the winners with 18 points and Fernando San Emeterio posted 11 more. Martynas Echodas led Rytas with 11 points, while Eimantas Bendzius and Art Parakhouski each added 10 for the hosts. Sam Van Rossom and Bojan Dubljevic shined early to give Valencia a 14-20 lead after 10 minutes. Arnas Butkevicius and Echodas fueled an 11-0 run that allowed Rytas to get a 39-33 edge at the break. Matt Thomas and Tobey responded with a 0-10 Valencia run, getting help from San Emeterio to give Valencia a 48-57 margin after 30 minutes. Valencia boosted its margin to 50-64 and sealed its semifinal ticket long before the final buzzer. Will Thomas got Valencia going with a dunk and Van Rossom struck from downtown for a 0-5 lead. Bendzius and Rok Stipcevic rescued Rytas with back-to-back triples but San Emeterio also joined the shootout for a 6-9 Valencia edge. A layup by Art Parakhouski soon gave the hosts their first lead, 10-9. Dubljevic struck from beyond the arc while Van Rossom and Tobey added respective jumpers in a 0-9 run that made Rytas call timeout at 10-18. Mindaugas Girdziunas downed a three-pointer before a layup by Tobey fixed the score at 14-20 after 10 minutes. Tobey used an alley-oop slam and a triple to push the difference to 17-25 early in the second quarter. 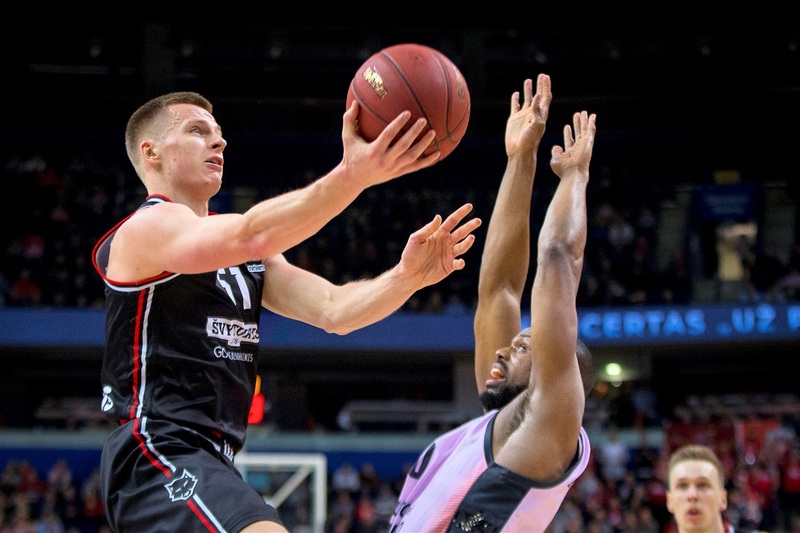 Soon, however, Parakhouski dunked and Bendzius sank a triple, igniting an 11-0 run highlighted by Butkevicius's three-point play, good for a 31-28 Rytas lead. A big dunk by Echodas and a couple of three-pointers by Stipcevic boosted the hosts' lead to 39-33 at halftime. Guillem Vives hit a triple soon after the break and San Emeterio added a driving layup to get Valencia within 39-38. Soon, Matt Thomas downed a couple of jumpers and Tobey followed a dunk with a jump hook as Valencia surged in front 43-46. The visitors were on a roll as Will Thomas hit a put-back layup and San Emeterio made it 45-52. Deividas Sirvydis and Joan Sastre traded triples as Valencia stayed ahead 48-57 after 30 minutes. Parakhouski scored down low early in the fourth quarter but Will Thomas erased that with a put-back layup and Aaron Doornekamp hit a turnaround jumper that made it a double-digit game, 50-61, with more than 7 minutes left. 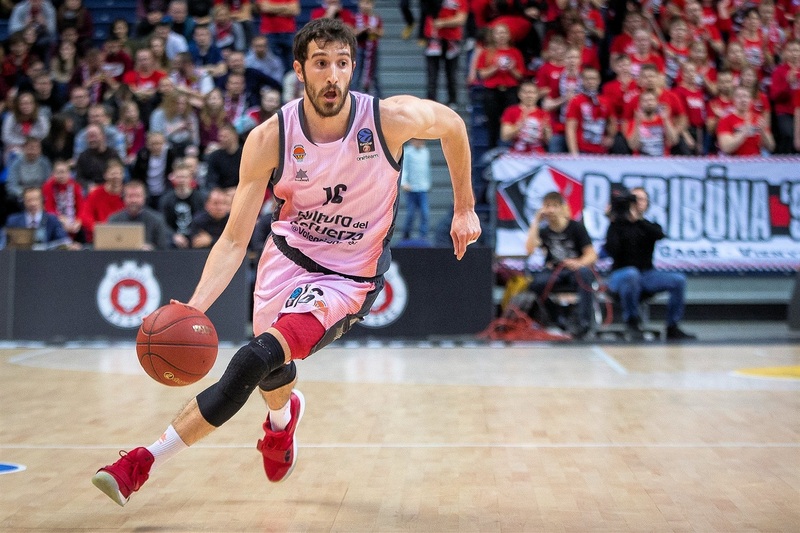 Sastre buried a three-pointer, forcing another Rytas timeout at 50-64 as everything was said and done, sending Valencia to the semis again. Tobey was outstanding off the bench, dominating the boards and scoring with great effectiveness. He finished the game with a career-high 18 points on 7-of-8 two-point shooting, adding 7 rebounds for a PIR of 22. 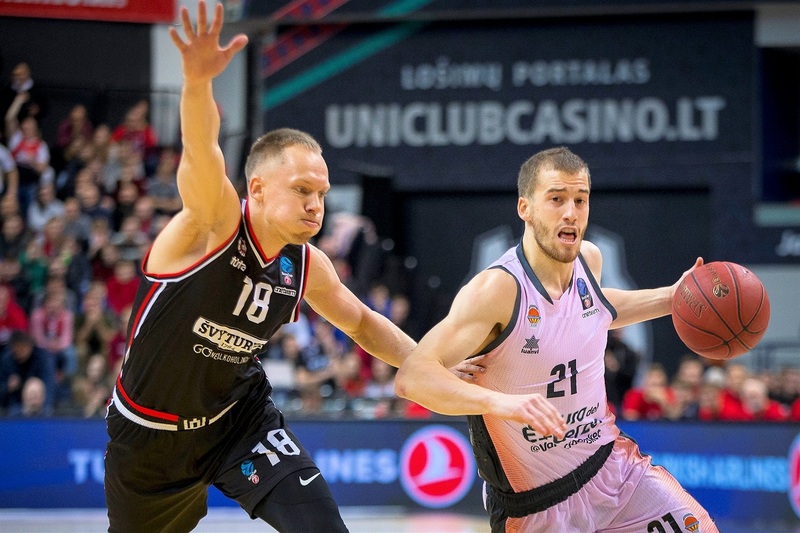 Rytas led 43-38 midway through the third quarter before Matt Thomas and Tobey each had 4 points in a 0-10 run that put Valencia ahead for good, 43-48. San Emeterio and Joan Sastre soon boosted the guests' margin to 48-57 at the end of the third quarter and Valencia never looked back after that. 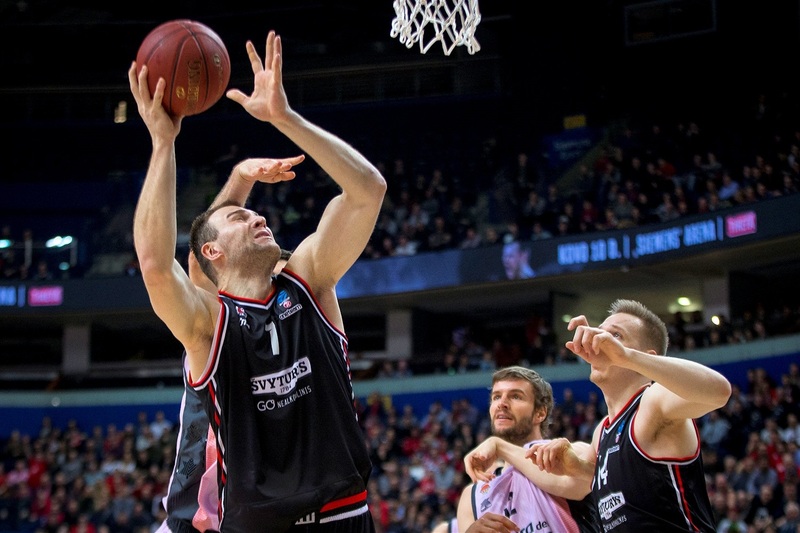 Valencia only allowed 17 points in the second half, limiting Rytas to just 56 total. 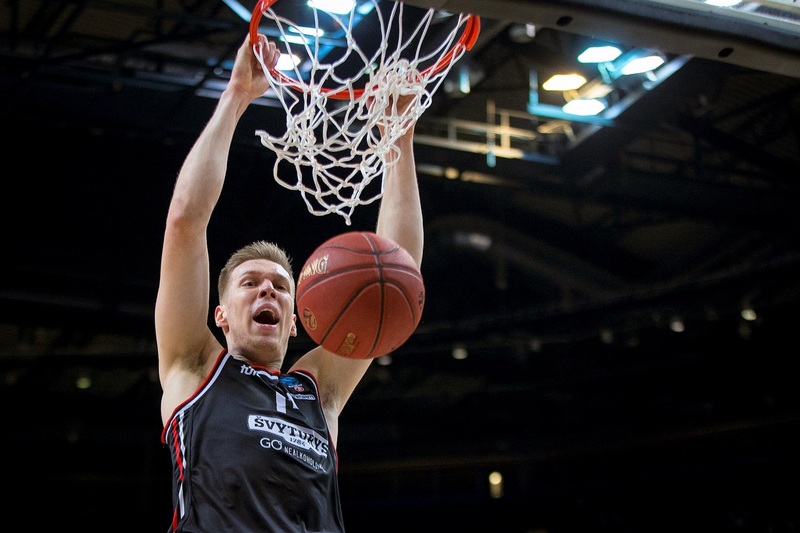 It is Rytas's lowest score in a EuroCup game, ever. 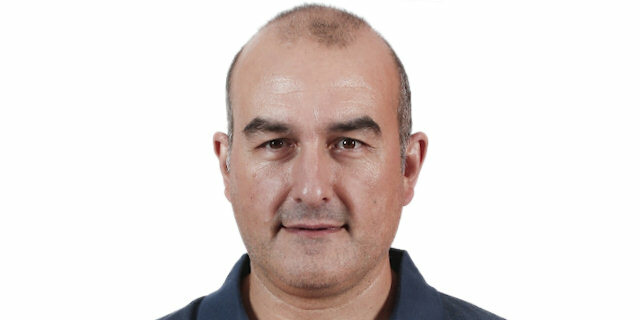 It had only failed to reach the 60-point barrier twice, scoring 59 against Benfica Lisbon on January 4, 2005 and against Bilbao Basket on March 10, 2009. Valencia outrebounded Rytas by 25-37, in another big key to this game. Valencia has made it to the EuroCup semifinals for the eighth time in club history, an all-time record. Valencia previously reached the semifinals in 2003, 2005, 2010, 2012, 2013, 2014 and 2017. Valencia is 5-2 in those previous semifinals. Valencia will host Game 1 of the semifinals against either UNICS Kazan or Lokomotiv Kuban Krasnodar, whose quarterfinal series is tied at 1-1, on Tuesday, March 19. 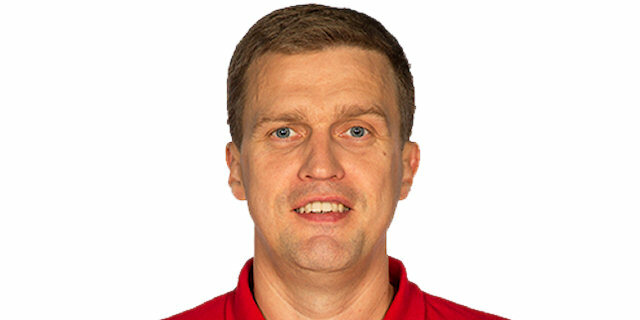 Rytas has been eliminated from the competition, putting a bitter end to an otherwise fantastic EuroCup season. "First of all, congratulations to Valencia. They deserved to be in the next round. On the other hand, I would like to congratulate my players for their effort in Game 1, but also in Game 2. We missed some physicality and some rotation, but they put in a 100-percent effort, everyone." "I think we entered the game with a good feel and clear ideas. We are not playing perfect, but we started the game with a good mentality. After moving to the bench, we started to play bad offense and Rytas punished this with good fastbreak opportunities, changing the face of the game. 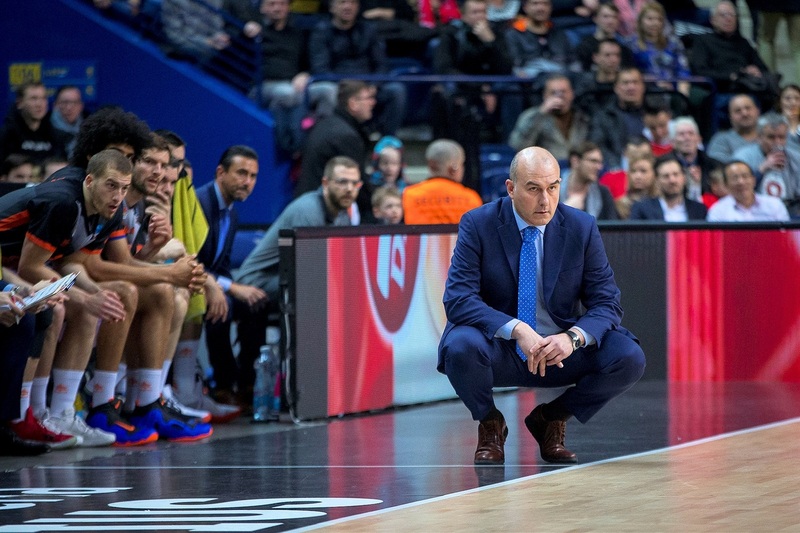 In the third quarter, we had clear ideas again and improved our defense, adapting to Rytas's situations. I think we were consistent on defense, and on offense, we controlled the rhythm better, which was better for us, and we won. I would like to congratulate Rytas for a great EuroCup, and especially because this team played very well. 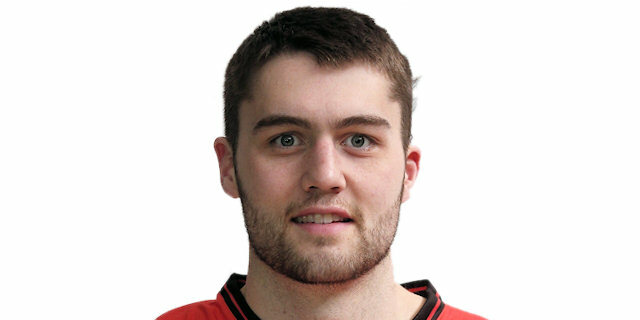 Chris Kramer, stay strong!" "I am excited that we are moving on to the next round. Rytas a really good team and they fought really hard. Best of luck to them for the rest of the season. It is a great win, it is always amazing to play in the semifinals. I am excited to what happens after this and to start preparing for whoever we get next."